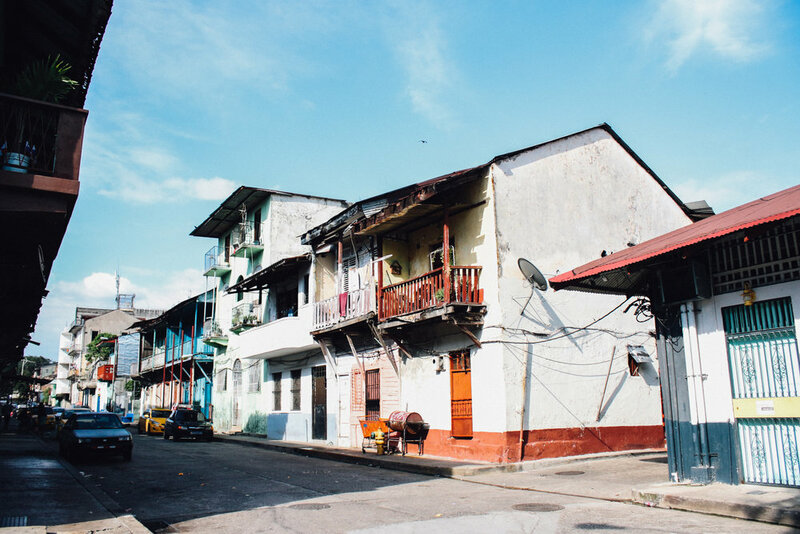 The multi lane highways and casinos of downtown Panama City lay in stark contrast to Casco Viejo, its cobblestoned historic quarter, famed for its colonial era architecture. 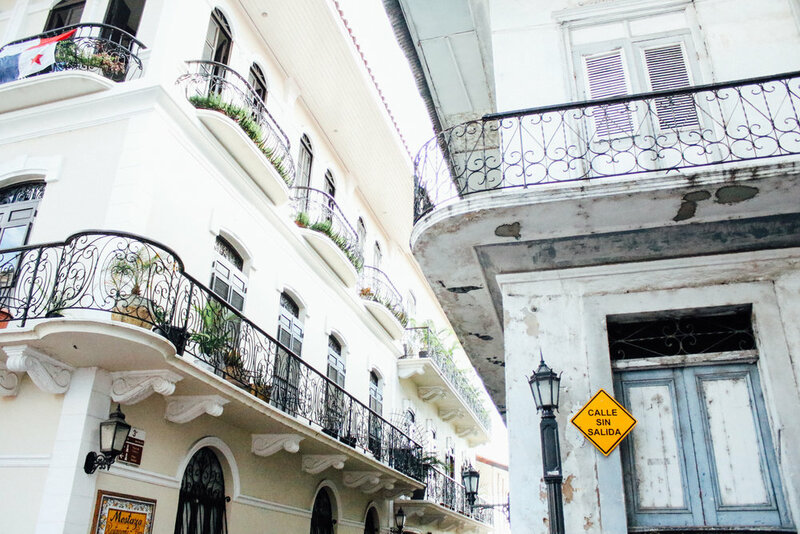 Boutique hotels, cafes and underground bars now line the streets next to crumbling facades still awaiting restoration. In the narrow one-way alleyways it’s easy to get lost in a mosaic of the old and new, the wealthy and the poor. 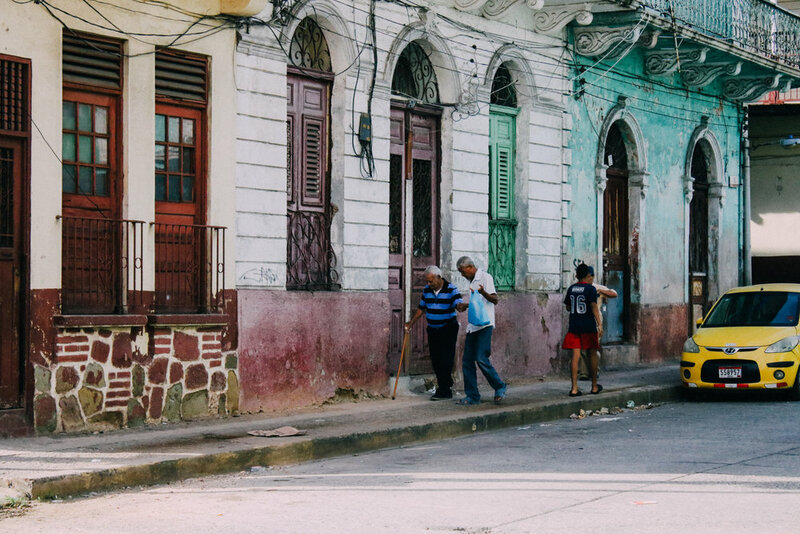 Every inch of the old quarter radiates with history as do the people that you come across. 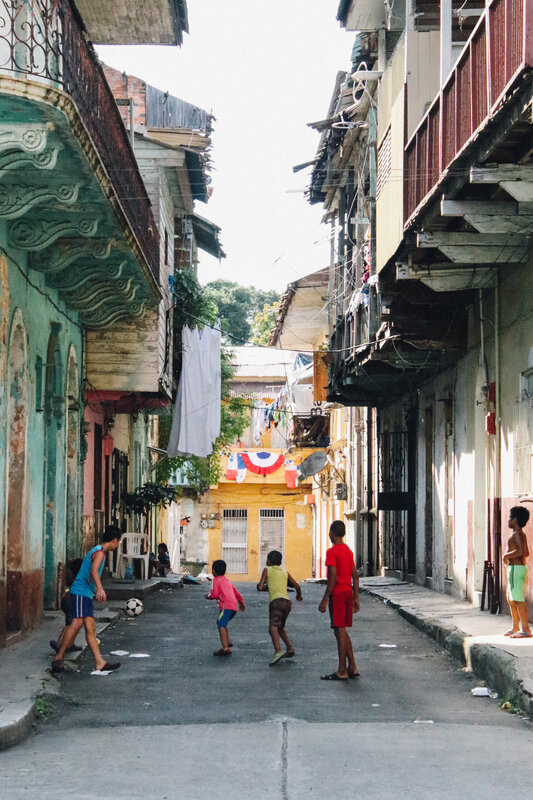 They all have a story or two to tell you about: the importance of the Canal to Panama; the transformation that the city has undergone in the last decade; or why they love living here (or why they moved here). Wandering through the streets, no map in hand or real end destination in mind, you fall in love with this city. 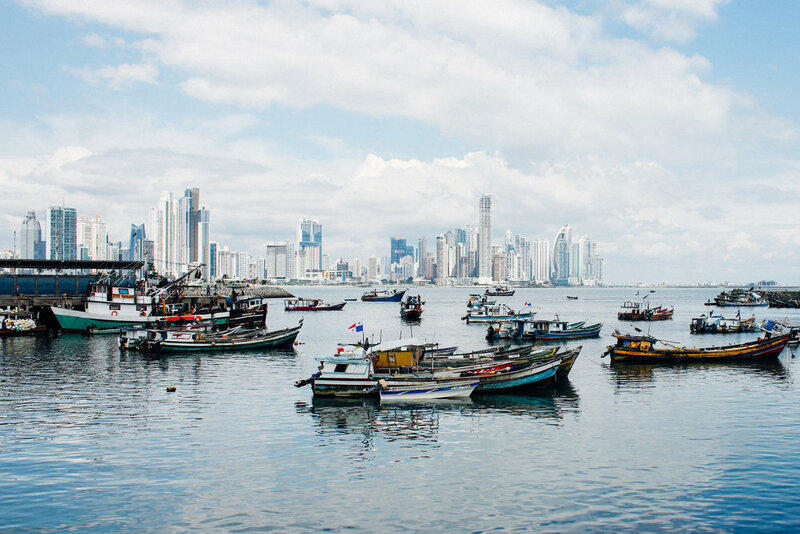 Go with no expectations or real agenda ,and Panama City will surprise you in every way possible. 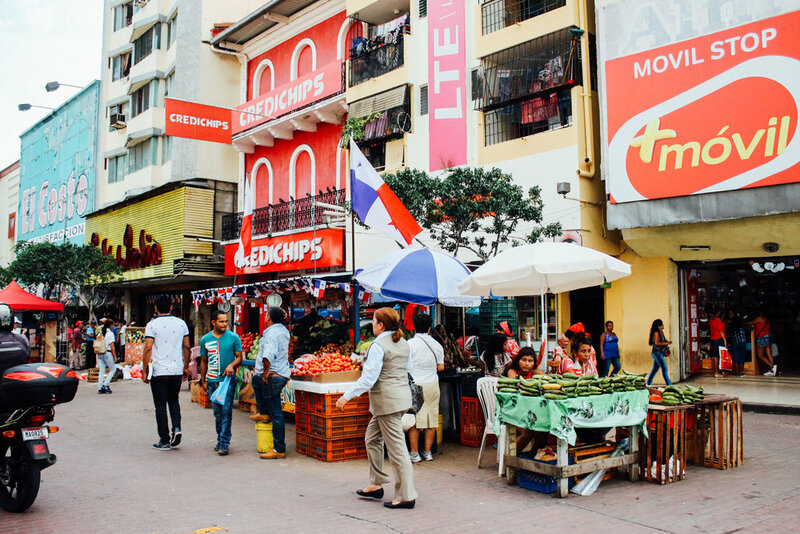 You want to experience a truly cosmopolitan city in Latin America that has great food, good nightlife and a variety of day trip and activity options. History is also important to you as is the architecture of a city. 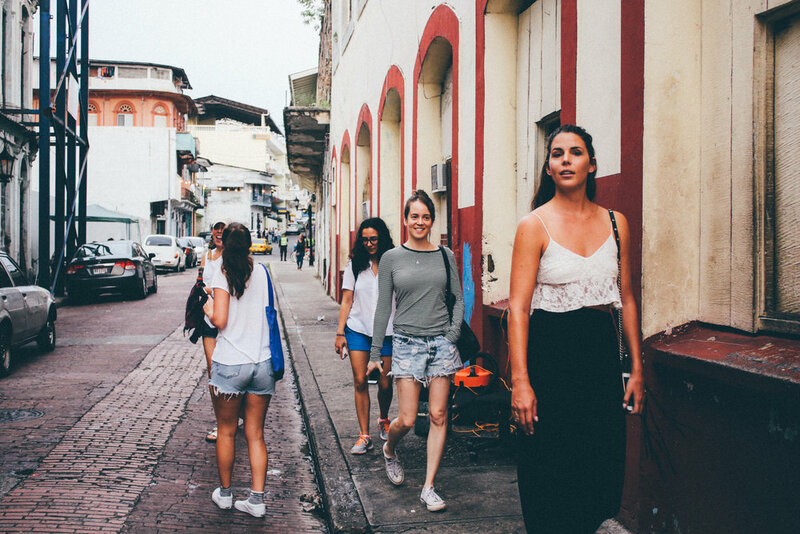 Stick to Casco Viejo where you can stay in a number of small boutique hotels and really get the feel for life in Panama City, all while indulging in happy hour cocktails and shopping handmade goods. 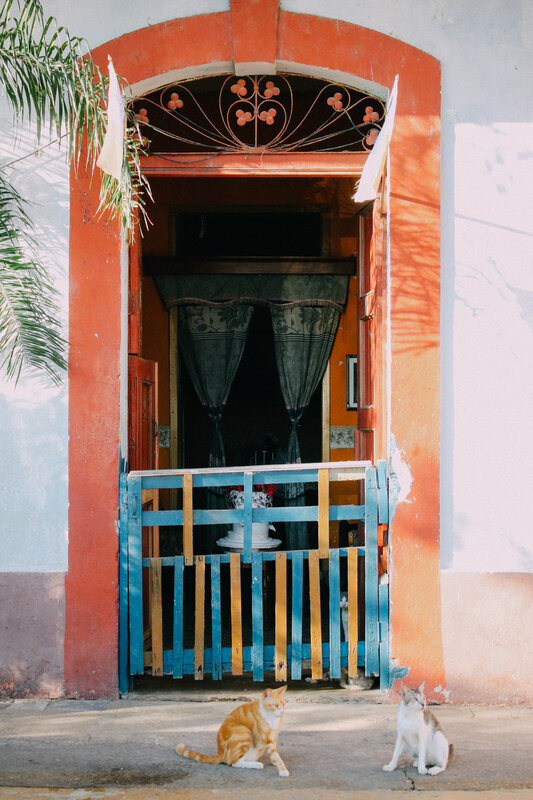 You’ll instantly feel as if you’re at home in Casco Viejo and think that you could even live here. I know I did. 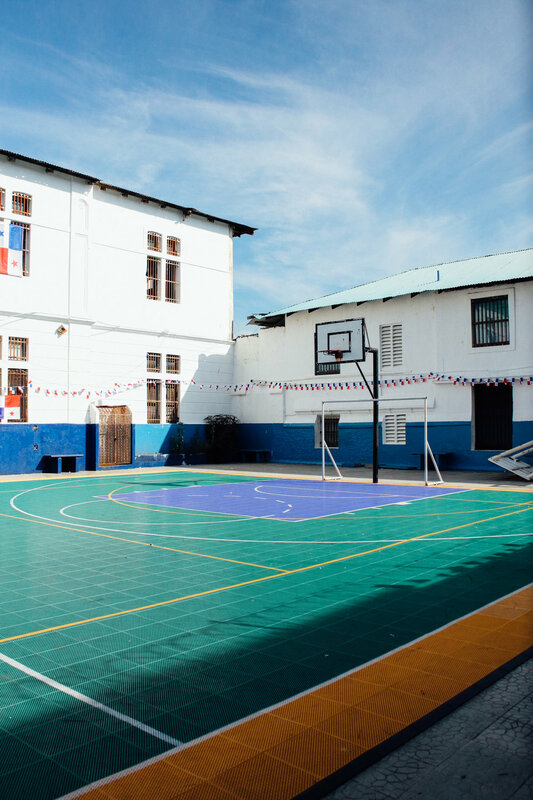 Toucumen International Airport is a short 20 to 30min drive from Panama City. Direct flights can be found from many major US cities, and even with a stopover it’s still a relatively quick and easy trip of under 6hrs to get here. 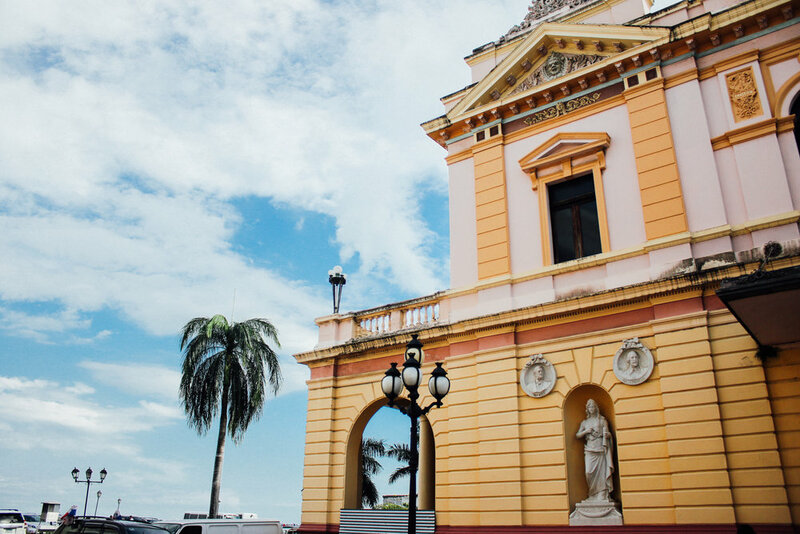 The Pan-American Highway makes travel by car or bus an easy endeavour and can connect you with neighboring Costa Rica in under eight hours. 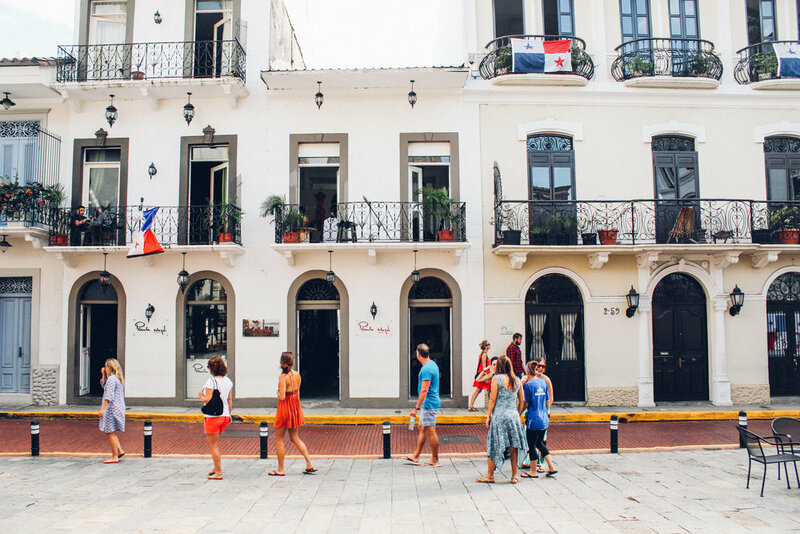 American Trade Hotel | Occupying a beautifully restored landmark building that at one point housed the various gangs of Casco Viejo, the American Trade Hotel opened its doors in 2013. With 50 luxury boutique rooms (starting at $175/night), the vibe is tranquil and relaxed, yet refined and sophisticated. A cold towelette and bottle of water as you’re checking in is a nice welcome touch for some much needed post-travel hydration. 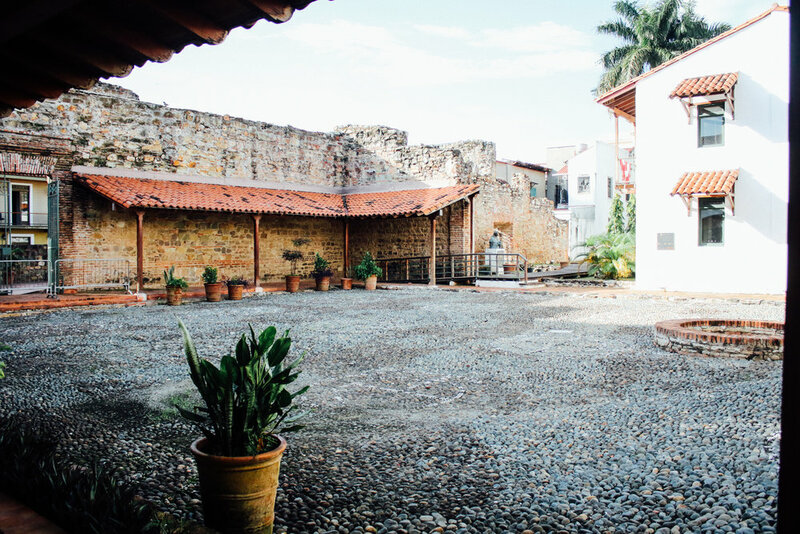 Lose yourself over a morning coffee on your balcony and watch Casco Viejo come to life in Plaza Herrera, and then while away the early evening hours with a sunset dip in the small, but expertly crafted pool on the third floor. Fortaleza Walking Tour | This 60min walking tour was unquestionably one of the highlights of my whole trip. 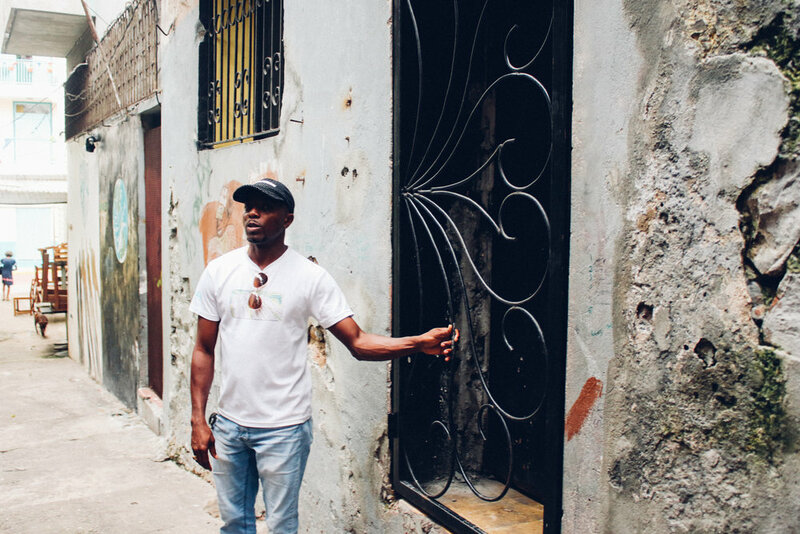 Not your typical walking tour, the Fortaleza Walking Tour is part of the Esperanza Social Venture Club, a gang intervention and reintegration program. 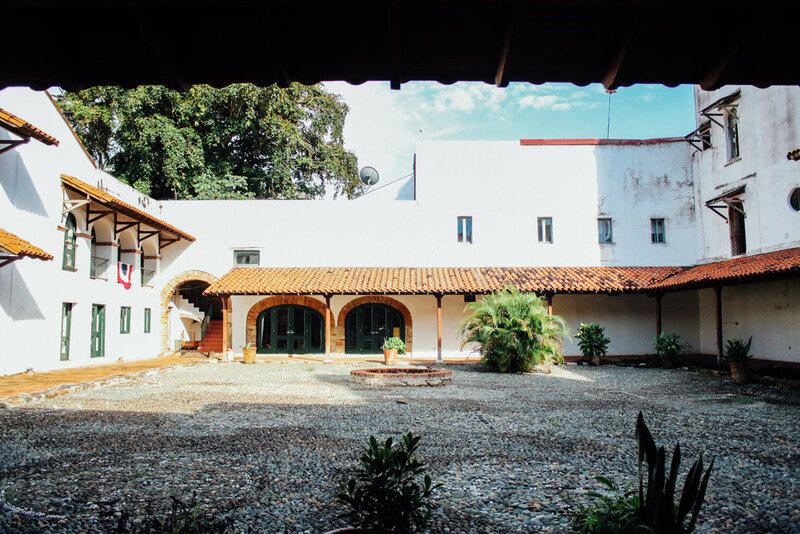 Run by members of the gang formerly known as Ciudad de Dios, you’ll be met in the lobby of the American Trade Hotel by a former member such as Jaffet, along with an English-speaking interpreter. 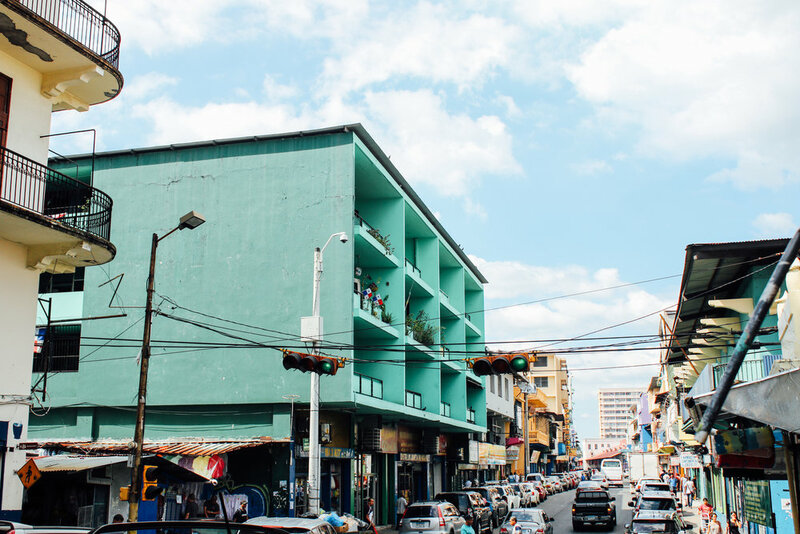 The tour starts by outlining what role the building that now houses the American Trade Hotel played in gang warfare, and then your guide takes you out onto the streets of Casco Viejo and intermingles the story of the Ciudad de Dios gang along with his own life story. 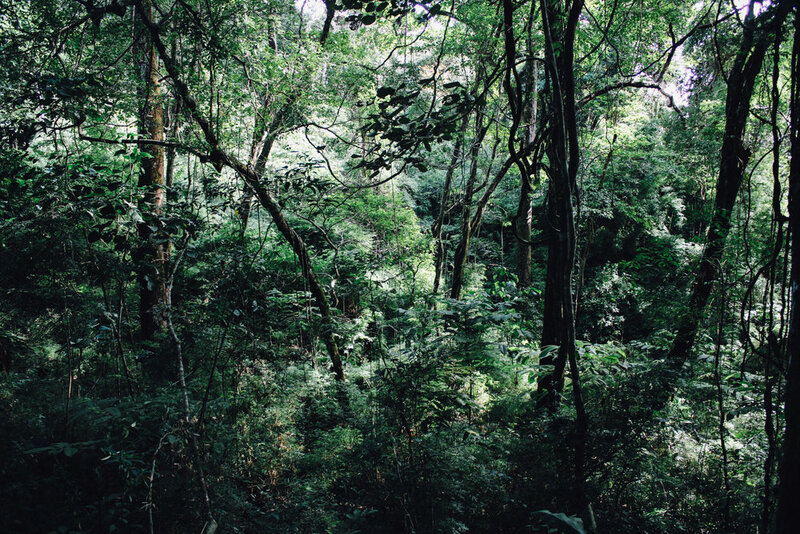 Parque Natural Metropolitano | A 15 minute taxi ride from Casco Viejo is Parque Natural Metropolitano, the only rainforest in the world within the city limits of a metropolis. 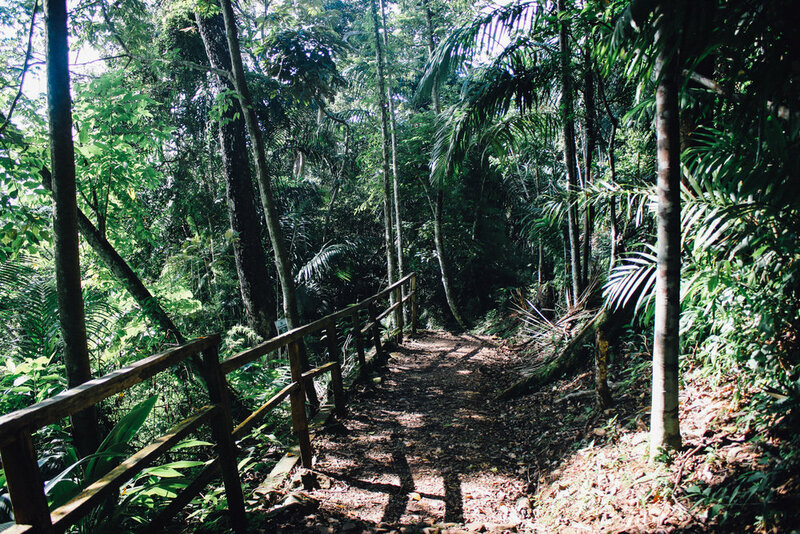 You can easily hike to the summit in 35-45min, where you’ll find phenomenal city and valley views, along with sloths and titi monkeys high in the trees along the way. Make sure to go on the earlier side of the morning to get the hiking trail all to yourself. It makes for the best and most relaxing way to start your day. 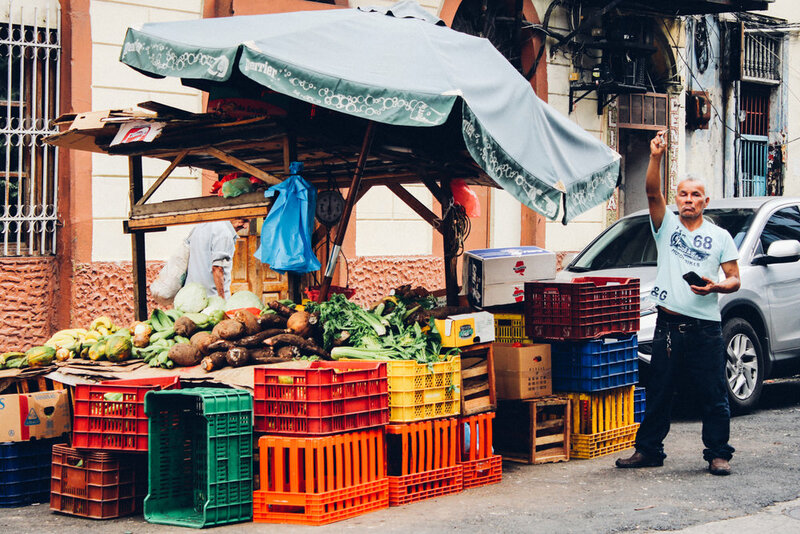 The influence on Panama of both East and West is evident in many ways, and the food scene here is far superior to the rest of Central America. Mahalo | Eating clean and fresh is what Mahalo is all about, and it’s best done over breakfast in the cute, tranquil backyard. Opened earlier in 2016 by two sisters from Canada, this somewhat hidden spot (it’s easy to walk past Mahalo and miss it) is sure to be around for a long time. My picks for fuel to start your day are the breakfast burrito or the avocado toast. The Fish Market | An open air seafood restaurant complete with a food truck, The Fish Market is a great option for an unfussy, quick and easy dinner. The fish tacos are light and delicious leaving plenty of room in your stomach for the on point Key Lime Pie. Cafe Unido | Adjacent to the American Trade Hotel, Cafe Unido is a Panama coffee roaster churning out pastries, lattes and frappes, as well as goods for sale including Cafe Unido coffee beans. 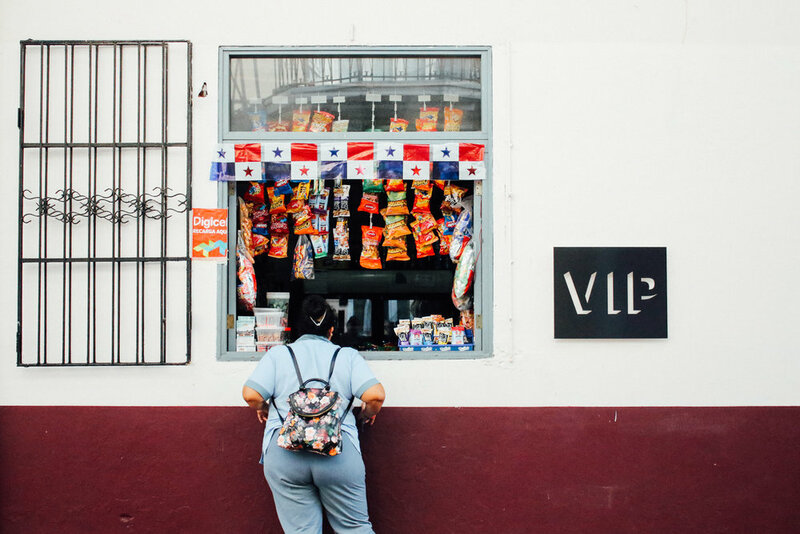 Asking for soy or almond milk is usually met with blank stares in most Central American or Caribbean countries, but here the baristas will happily oblige as both options are available. 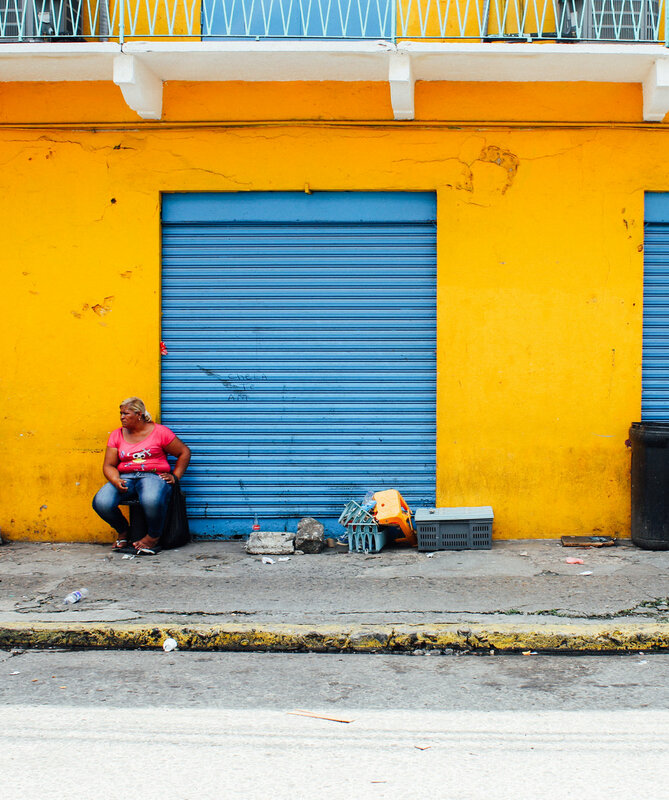 Mercado de Mariscos | The bustling city fish market is an easy 10-15min walk from the heart of Casco Viejo. Outside, the unassuming food stands dole out styrofoam cups of ridiculously cheap ($4 and under) and ridiculously good ceviche of pretty much every variety possible. The scene at lunchtime is buzzing and busy and is a sight in itself worth coming for. Aki Sake Bar & Japanese Kitchen | Sushi is something that I tend to skip when i’m not at home, unless I happen to be in Japan. Had it not been for the locals that ended up taking my friends and I out, I most likely would have never ended up at Aki, but i’m glad that I did. The ambient atmosphere combined with a couple of lychee martinis and some unique signature roles is the perfect way to start your night out. Pedro Mandinga Rum Bar | An extensive rum menu here leads to some of the best cocktails you’ll find anywhere in the city. Come during Happy Hour (4-6pm) when cocktails are just $4 each and be sure to get one of the tables by the doors so you can watch Casco life go by you outside. Moloko | Touting itself as the ‘most underground electro, rock n roll cocktail bar in Casco Viejo’, Moloko is exactly that. Part lounge, part bar, part nightclub, come here for the rotating roster of DJ’s and live bands, and soak up the atmosphere of nightlife in Panama City by lounging on one of the funky, mismatched couches or arm chairs that you’ll find upstairs. Panama clearly loves its electronic music, so prepare your ears as that’s what you’ll find playing most nights. Make sure to do the Fortaleza Walking Tour earlier in the day so that when you stumble upon Moloko later on in the night, it will become more than just some club that you went to. Mula | Upstairs at Tio Navaja is Mula, a chic spot with hip vibes and a great selection of cocktails. I spent most nights during my stay here lounging and hanging out with the wonderful owners and staff, who go out of their way to ensure that you have a great time. The space is tastefully decorated and not overly large which creates a comfortable atmosphere you won’t want to leave in a rush. Panama’s currency is the US Dollar, so there’s no need to change money. You will sometimes receive change in the local Balboa, but the value is 1:1. Be sure to have some cash on you upon arrival at Tocumen International Airport. 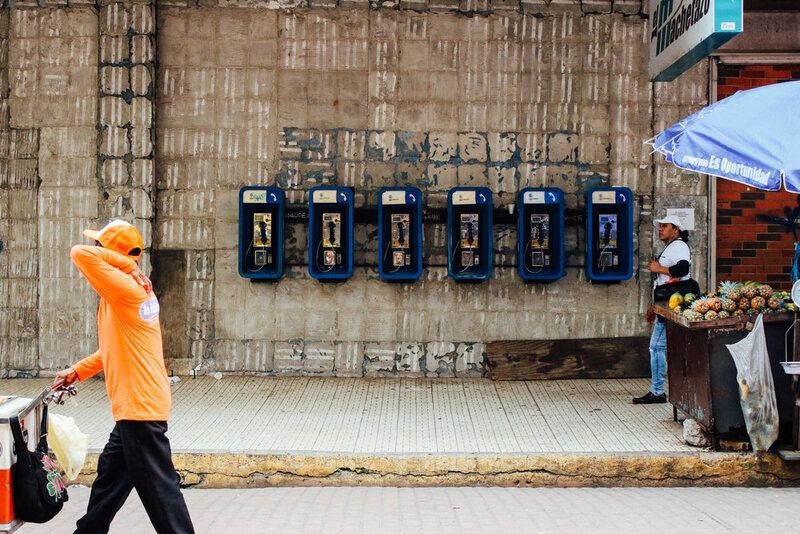 It’s about a $30 taxi ride to Casco Viejo, and the drivers only accept cash. Look out for the impossible to miss drivers in their bright lime green shirts outside of baggage claim. If you manage to pick up the wifi or have your phone on roaming, Uber is also readily available. Xenia is an Art Director and Producer living and working in NYC. She begun her career as a retoucher and photo assistant, and has since amassed experience working in all forms of creative production for the likes of Refinery29 and The New York Times. You can see more of her work on her website or follow along with her on Instagram at @xeniarollinson. Want to save for later? Xenia is an Art Director and Producer living and working in NYC. She begun her career as a retoucher and photo assistant, and has since amassed experience working in all forms of creative production for the likes of Refinery29 and The New York Times.